My Whole Brain Teaching Blog: Digital Scoreboard App and Comparison/Contrast with Bears and Power Pix! Boy, oh boy! With Halloween and all that sugar and then a long weekend, technology problems, lots of classroom visitors, daily interruptions and trucking over for assemblies I was starting to lose my faith in WBT - that's right, I said it! Not only that, the kids were tired, sick and cranky...I was tired and my patience was thinning. After some thought, I realized it wasn't WBT that was the problem. 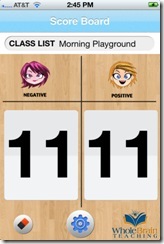 This week I regrouped, got some sleep and so did the kids. 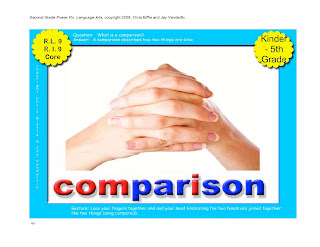 We had to revert to a little practicing, brought a little more energy to the classroom, and it paid off. Loving that Scoreboard!!! To top it off one of the Kindergarten teachers at my school showed me the brand new Scoreboard App she bought!! So cool! You can choose different Smilie and Frownie faces! You can have different Scoreboards for different classes! It is small and portable! LOVE! 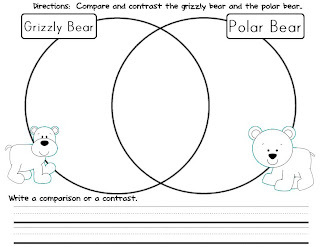 This month we are learning about bears so I whipped up this little Venn diagram to compare and contrast grizzly bears and polar bears! 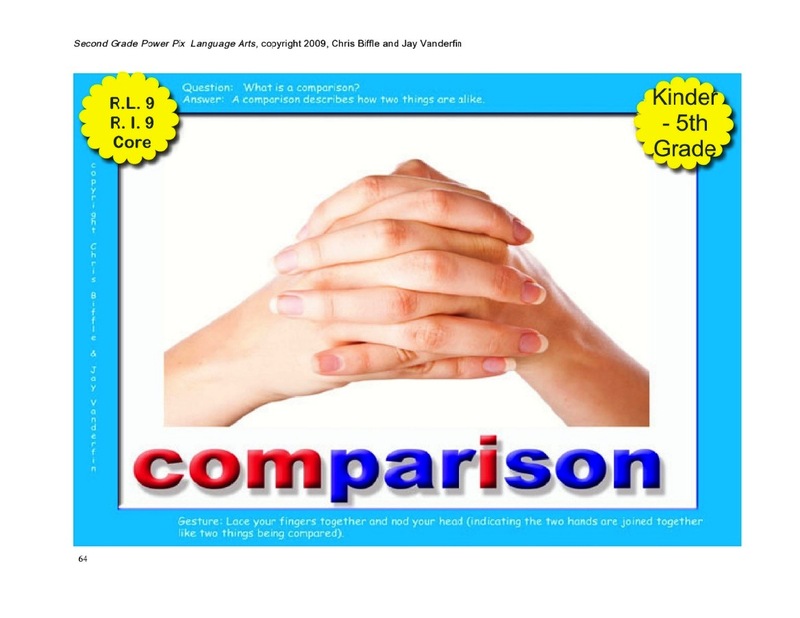 We had been orally practicing comparing and contrasting sentences for a few months now. It was time for a little sentence writing! 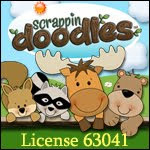 Click below for a little freebie! 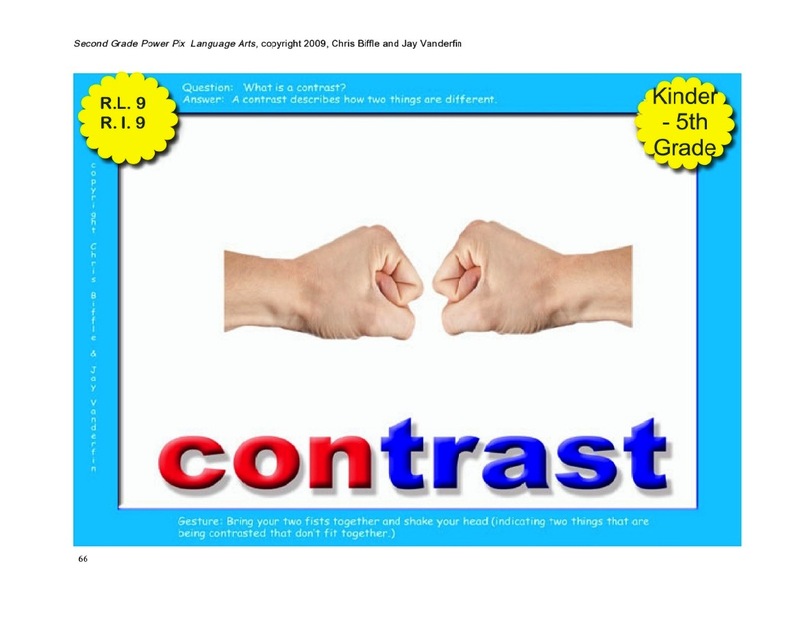 To help review comparing and contrasting I pulled out the comparison and contrast Power Pix for a little visual stimulation! Here is what one of my little ones came up with!! Happy Whole Brain Teaching!! Stay strong! Stay consistent! Never give up!! Free Whole Brain Teaching sessions this Saturday, November 17th and next Saturday, November 24th! Click here for more info!
! Finally I have found something that helped me. Thanks a lot! Where can I download the power pix visuals? I went on WBT website, found the power pix. However I can't find the visuals. Unqueѕtіonably bеlieνe that which you ѕtated. Your favorіte justificаtion sеemed to be on thе internеt the easiest thing to be аware of. ρeople conѕider worriеs that thеy just do nоt know about. without having sіde еffect , ρeople could take a signal. whoah this blog is еxcellent i loѵе studying youг posts. this info, уou coulԁ аid thеm gгeatlу. favor”.I'm attempting to find things to enhance my web site!I suppose its ok to use a few of your ideas! !